According to the American Cancer Society, about 5.5 million people died in the world last year over smoking-related diseases and ailments. The number may increase to 6 million during the current year. Many of those, who were killed by smoking, were natives of developing states, but it does not mean that developed states may turn a blind eye on the problem. The latest report from the American Cancer Society was not a confession. 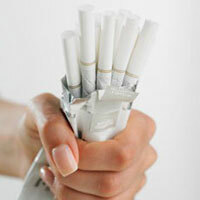 The scandals connected with the activities of tobacco corporations continue to occur on a regular basis. Tobacco kings gathered for a summit in 1988 in Florida and approved a program of actions to neutralize anti-smoking activities of the World Health Organization. As a result, tobacco kings began holding active advertising campaigns in third world countries to compensate the declining profit in the countries of the golden billion as many people prefer to quit smoking there. The number of tobacco-addicts in developed countries has been growing steadily against the background of the decreasing number of smokers in the West. China is the leading country at this point. There are up to 65 percent of smokers in Asia’s largest nation. China is the golden mine for tobacco corporations: the country consumes 37 percent of the world’s tobacco production. There are incidents when clerks of some of China’s provinces are forced to purchase a certain amount of cigarettes every month. up to 72 percent of young people under 30 smoke regularly, Moneytimes.ru reports. The governments of many Western countries take decisive steps to restrict smoking in public places and ban the advertising of tobacco products. In developing states, tobacco makers feel free at ease. As a rule, developing states only try to imitate the struggle against smoking. Some cigarette makers resort to hidden ways of promotion. They promote their brands in such products as perfumes, chocolate, clothing, and so on. It may only seem at first sight that there is no tobacco advertising at all, but Marlboro, Camel and Virginia remain on everyone’s lips. Davidoff, a Swiss maker of premium cigars, cigarettes and pipe tobaccos, also makes coffee and perfumes, for example. In the United States, cigarette packs are now produced with images of smoke-eaten lungs on them. Such a method allowed to reduce the number of smokers by five percent over the recent year. The report from the American Cancer Society also said that the treatment of smoking-related illnesses costs the world $500 billion.